W. Colby Roof, Attorney - Martin|Hild, P.A. Mr. Roof provides legal services to large and small business clients including those involved at the subcontractor and general contractor levels of the construction industry. Mr. 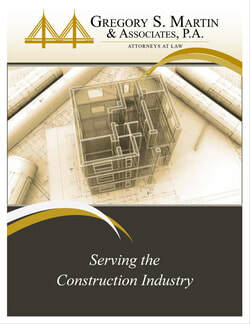 Roof's practice experience includes an emphasis on complex business litigation, including fraud and business tort claims, partnership and ownership disputes, breach of contract in the performance of transactions and services agreements, creditor and debtor rights in the default of secured transactions, as well as commercial leasing disputes. Prior to attending law school, Mr. Roof worked as an operations manager and cost analyst for a national design-build, metal-building construction firm servicing a niche industry throughout the United States and abroad.